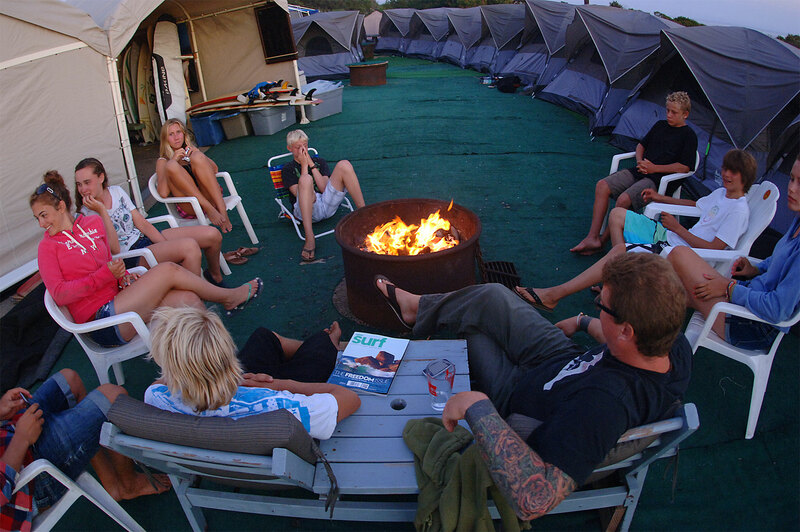 The Endless Summer Surf Camp has a deluxe campsite overlooking the Pacific Ocean in the San Onofre State Park Campground. San Onofre is a modern State Park complete with showers, bathrooms, charging stations for phones and electronics, and Ranger and Lifeguard patrols. Our campsite lodging consist of custom tents (guys & girls separate). We customize our camp area complete with astro turf, plenty of canopy’s providing shade and game area including ping pong. There is also a television and video viewing lounge complete with sofas where we will have nighttime entertainment complete with surf movies, feature movies and video analysis of the day’s surf sessions. Our main surf beach is a 10 minute picturesque walk away from our campsite. We transport all your surf equipment to the beach for you each and every day with our customized trailer. 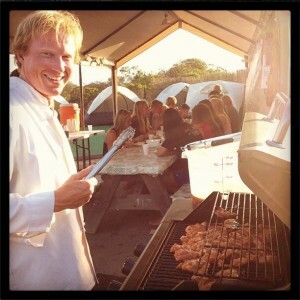 Our full-time cook will provide you with the proper diet that will give you the strength to catch that last perfect wave of the day. Three meals a day are provided along with snacks and drinks throughout the day. A hearty breakfast is served every morning at the camp with a midday lunch served at the beach consisting of sandwiches, summer fruits and other snacks. Italian pasta night, Taco Tuesday with Mexican burritos and tacos, and the infamous Hawaiian BBQ night complete with teriyaki chicken, rice, veggies and more. A vegetarian alternative is also available at every meal.